NEWPORT, R.I. — Faster boats and advanced weather forecasting technology have dramatically changed how sailors approach long ocean races such as the Transatlantic Race 2019, which will start from Newport, R.I., on Tuesday, June 25, 2019, and finish off the Royal Yacht Squadron's iconic castle in Cowes, England. A century ago, ocean racing was a reactive sport, sailors took what Mother Nature dished out as it came. Now, bigger and faster boats enable teams to attack a course, aggressively searching for the strongest and most favorable winds. Of course, it’s not without risk. In the Transatlantic Race 2015, the Prospector team found itself on the leading edge of a powerful weather system for much of the 3,000-mile passage from Newport, R.I., to England. For ocean racers, the relief peaks when crossing the finish line, but the fondness grows slowly and eventually becomes the predominant emotion. Which explains why the Prospector team, with more than two years to reflect on that race, was among the first boats to officially sign-up for the Transatlantic Race 2019 and continue a tradition that dates back to the first transatlantic sailing competition, which started from New York Harbor on Christmas Day 1866. 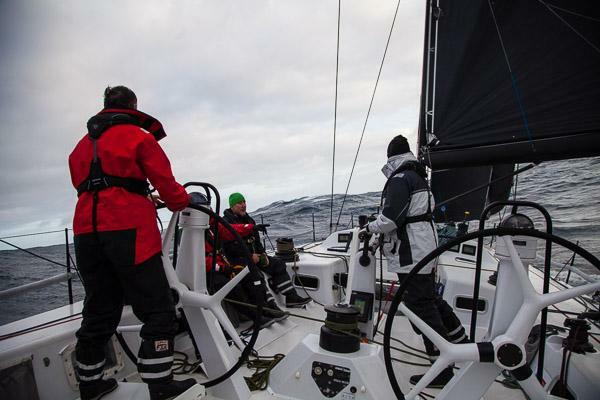 The Transatlantic Race 2019 will be the 31st race between Europe and the United States organized, at least partially, by the New York Yacht Club. The Transatlantic Race 2019 is organized by the Royal Yacht Squadron, the New York Yacht Club, the Royal Ocean Racing Club and the Storm Trysail Club. "Faster boats and evolving communications technology have aggressively shrunk the number of places where a team of sailors can truly feel they are alone against the elements," said NYYC Commodore Philip A. Lotz. "The North Atlantic remains one of the great wild places on this earth. In 2011, the four organizing clubs made a commitment to running the Transatlantic Race on a quadrennial schedule. The rise in interest from 2011 to 2015 is an indication that the thirst for true adventure still runs strong within our sport. We're excited to carry on this historic tradition, which dates back to the first quarter century of the New York Yacht Club."